Ocean City, New Jersey is one of the top travel and vacation destinations in the U.S. for a whole number of exciting reasons. 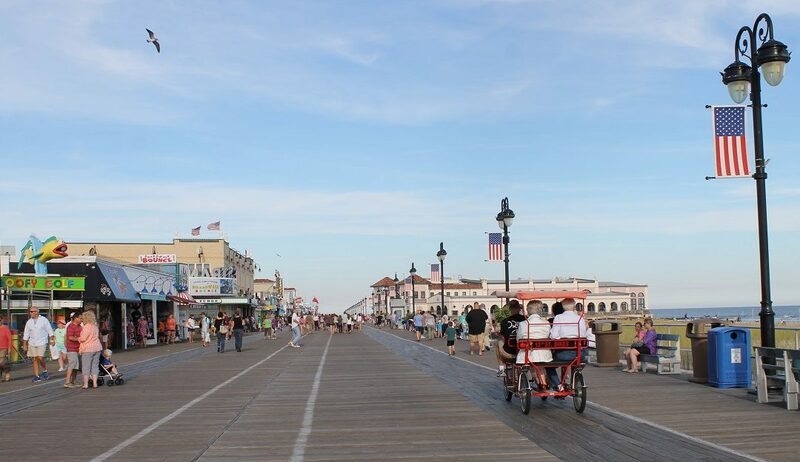 From beautiful, sandy beaches, to the famous boardwalk, fine dining, golf, tennis and more, Ocean City has it all. 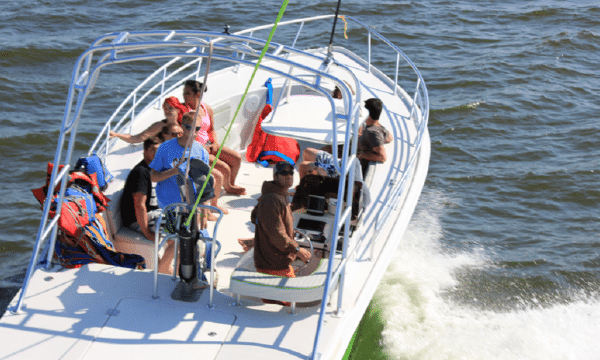 To help you narrow down what to do while visiting, here’s a list of five Ocean City adventures you won’t want to miss! 1. Find your inner “yar” on the high seas! If it’s fun for the whole family ye seek, the Sea Dragon Pirate Voyages offers hourly pirate cruises on a custom-built replica of a real pirate ship. The exciting cruises include face painting, sea chanteys, water cannon fights and all sorts of swashbuckling fun for pirates of all ages. Visit (WEBSITE) for details. 2. 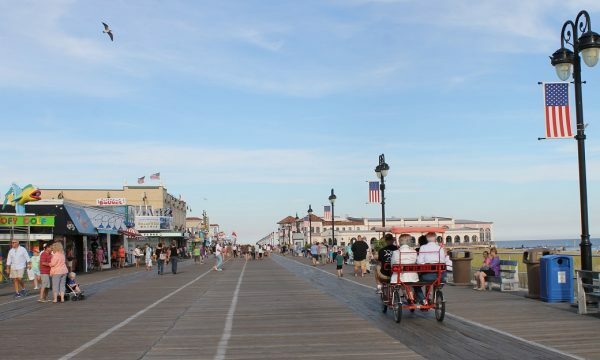 Explore the world famous boardwalk Shop ’til you drop, and then go get dinner — all on Ocean City’s fabulous beachfront boardwalk. The sights and sounds of the Atlantic Ocean provide the backdrop as you browse for fun gifts and souvenirs. Grab an ice cream cone or any number of other treats as you stroll. Or, take a date for a romantic Ferris wheel ride high above it all. The possibilities are as endless the boardwalk seems to stretch! 3. Take to the skies on a parasailing adventure For the adventure of a lifetime, you’ve got to try parasailing! 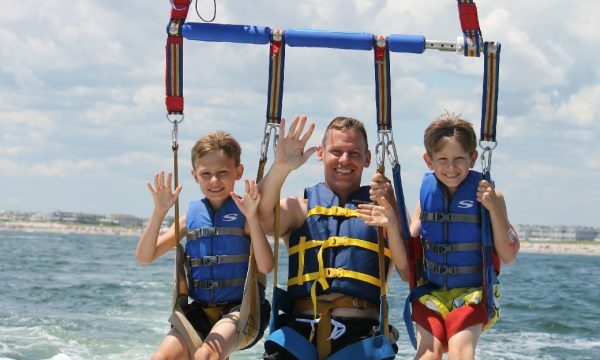 Visit or call Ocean City Parasailing to reserve your chance to take in the sights as you soar high above the ocean, looking out over the beach at the tiny people below. Their expert captains and crew will get you up in the air for a thrill unlike any other. And, nobody does it better or safer than Ocean City Parasailing. 4. Explore Ocean City under pedal power With miles and miles of maintained bike trails, Ocean City, New Jersey is a great place to take the whole family riding. Make plans to explore the beach, the bay or the boardwalk all by bike! Bring your own bicycles if you like, or travel light and rent bikes from one of several great bike shops serving the area. For more info on biking around Ocean city, visit www.bikeocnj.org. 5. Have a blast at the beach! Don’t overlook the beach in your search for Ocean City adventure. With miles of coastline, both on the bay and the ocean, you’ll find a ton of fun for the whole family. From surfing to stand-up paddling, fishing, to kayaking, beach yoga and more, Ocean City’s beaches have plenty going on to keep you busy. You’ll want to try something new every day!